Fire Tower Engineering prepared the evaluation of our T-REX connectors. You can use these specs with your engineering firms, architects, contractors and building departments. Please see Foot Note #2 on Page 3, advising that these specs apply to all standard 6x and 8x connectors. Click to download these specifications. Bringing a modern perspective to a time-honored craft, Fire Tower Engineered Timber is an enterprising firm specializing in the engineering and design of timber structures, including light lumber, heavy and curved timber, timber frame and post & beam structures. TEAM TIMBER designs T-REX timber frame plans for professional contractors and DIYers. All plans come with renderings, elevations, construction drawings, timber lists, fastener lists and most importantly single beam drawings making it very easy to cut each member before anything is erected. If you can't find a suitable plan on our PLANS page above, feel free to contact Greg Butkus to discuss your custom design or modifications. We use GRK's screws exclusively. This rugged structural screw is made of specially hardened steel to provide high tensile, torque and shear strength. GRK RSS™ screws are included with connectors and we have GRK Caliburn™ concrete screws available to purchase when you are attaching to foundations. This is Chattanooga's premier restoration and remodeling company that is known for their quick response time, commitment to doing excellent work, and beautiful craftsmanship for over 19 years. R Paris Restoration specializes in indoor and outdoor home projects. 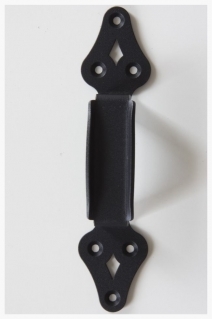 Looking for old-fashioned style antique barn door hardware for your new barn? Then contact this long-established New England business, another sister company of Connext Post & Beam. 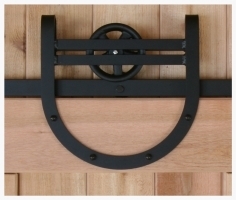 Better Barns specializes in various sizes of sliding barn door reproduction hardware, inspired by authentic 19th century design styles.